0.6 oz /17.75 ml $29.41 ORGANIC. NAME: Organic Sandalwood Essential Oil. PART OF PLANT USED: Wood from the Sandalwood tree. QUALITY: Indian Sandalwood Essential Oil is considered to be the most superior quality of all Sandalwood, when compared to Australian, Hawaiian, and African Sandalwood Oil. PRICE: True Sandalwood Essential Oil can be a little pricey, but our Supplier buys it in massive drums, which is how we keep the costs down. The main components of Sandalwood Essential Oil, are alpha-santalol and beta-santalol. α- and β-santalols create the sedative effect of Sandalwood preparations, in Oriental medicine. Sedative – Sandalwood Oil is deeply calming, and is used as a popular sedative in Oriental medicine. It is also used to enhance meditation and yoga, and to calm hyperactive children. Aphrodisiac – Enhances the sensual experience. Sandalwood Oil creates euphoria (blissful, floating sensation). This makes it good for depression / insomnia / muscle tension / panic attacks / anxiety / premenstrual tension. Anti-spasm – a powerful massage oil, to dissolve muscular spasms. Being anti-inflammatory and anti-septic, it treats skin inflammations such as acne and boils. It also calms dermatitis, by decreasing cytokines. 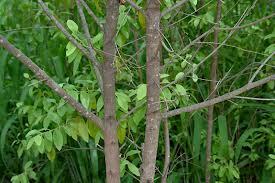 Sandalwood Oil’s plant actives, are extremely cell renewing, so it is used to heal damaged skin, and to moisturize excessively dry, sensitive skin. Its inclusion in anti-aging formulations, is famous. Anti-viral – Sandalwood Oil has antiviral activity against herpes, for both HSV-1 and HSV-2. SPECIAL PROPERTIES – Combats diarrhea / eases heartburn. PRECAUTIONS – Do not use if you suffer from severe depression (clinically diagnosed), as this oil ‘depresses’ the nervous system – which is what makes it so deeply calming. ~Add FIFTEEN DROPS of essential oil, per 50 ml of Oil, or Butter, for body use. ~Add TWO to THREE DROPS of essential oil, per 50 ml of Oil, or Butter, for facial use. ~Add FIFTEEN DROPS of essential oil, per 50 ml of water, when creating a room freshener. The 0.6 oz and 1.1 oz ships in a brown glass bottle, with a glass dropper. 2.2 oz ships in plastic BPA-free bottles, with dropper. 4.4 oz and 8 oz and upwards, ship in plastic BPA-free bottles. no dropper. All our oils are fresh and bottled daily. Expiration date is at least 12 months from sale date. The Essential Oils which we sell, have been chosen out of hundreds of Oils, because they are the safest, have the highest therapeutic benefits, and have personally been used by my staff and I, over many years of testing and experience. So, as you can see, we are not just ‘retailers’ of Essential Oils.